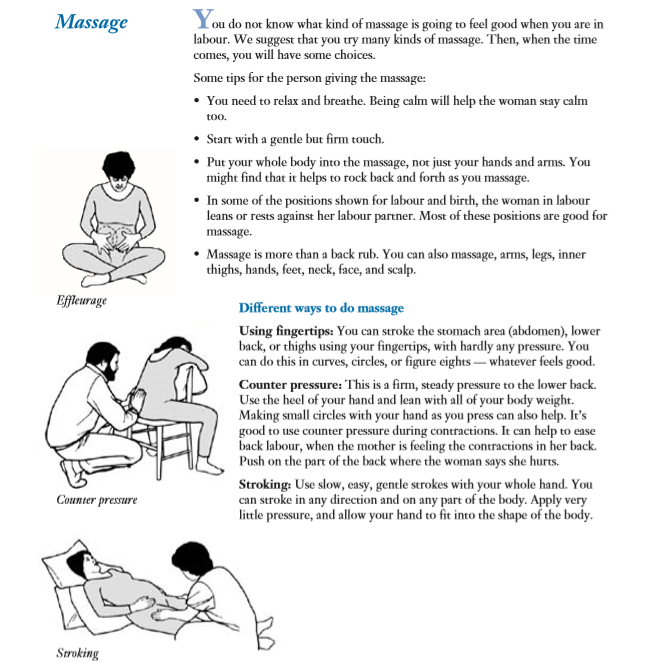 Now is an excellent time to practice all of the positions you can use during labor. If you practice, then they will feel comfortable to you. Doing the exercises will help to stretch your body and make it strong. 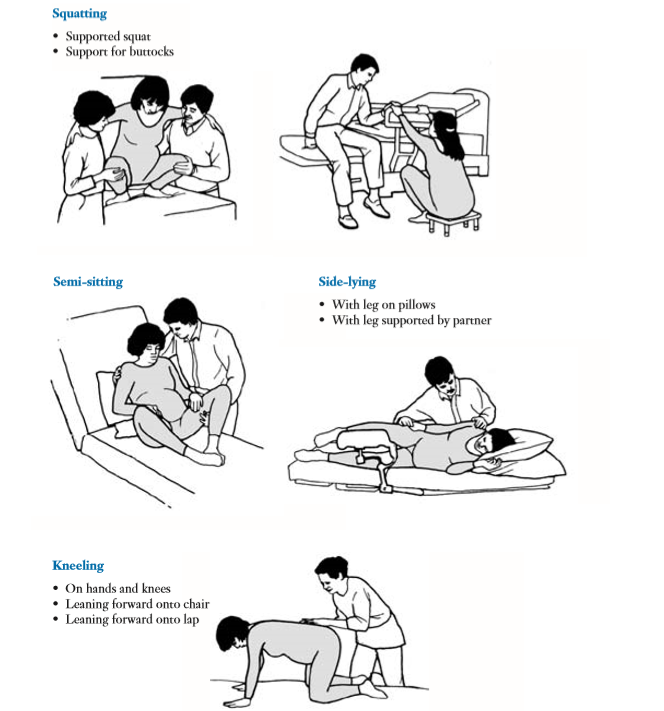 Then, these positions will feel good to you. Walk as much as you can for as long as you can. Walking helps make your contractions less painful and stronger. You need strong contractions to help the baby be born. Sit up or stand up for as long as you can. Your uterus works best while you are upright. Keep moving. Try not to stay in any one position for long. Your labor partner may have to remind you about this and help you to change position.